Within the past week, Nintendo announced and debuted a new Smash Bros. Ultimate Direct. The presentation was confirmed at EVO 2018 last Sunday, and was hosted just a few days ago on Wednesday. Like the segment from Nintendo’s E3 broadcast, the Smash Bros. Direct was packed with information. King K. Rool, Simon and Richter Belmont, Dark Samus, and Chrom were all revealed as the latest fighters. We heard that 103 stages and roughly 900 music compositions will be present. Classic Mode, Stamina Battle, a Final Smash Meter, Squad Strike, Tourney Mode, Smashdown, and Training will all be included. There were other surprises as well such as Rathalos and Shovel Knight appearing as Assist Trophies. 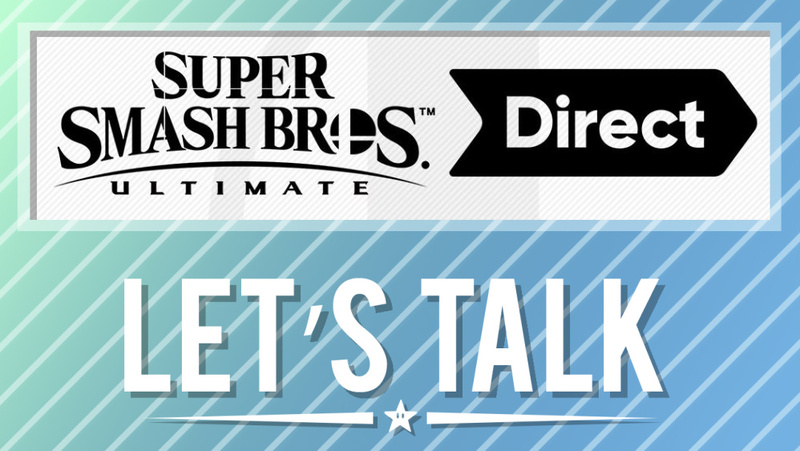 Based on everything that was shown, were you pleased with the Direct? Are you more or less interested in Smash Bros. Ultimate after the latest presentation? Let us know how you’re feeling in the comments below. Pool Panic! I was going to get Iconoclasts, but I am so worn out by Hollow Knight and Celeste, and needed something completely different. WarioWare Gold. It takes quite a while if you’re aiming to unlock everything.